A DBA is required by most states, including Alaska, whenever you want to conduct a business under a name other than what your legal name is. For example, Galactic Resource Conglomerates may want to conduct local business as "Little Doug's Rock Emporium." Existing entities: Want to do business under more than one name? A DBA allows you to conduct your Alaska business under a name other than your entity name. This is very common. 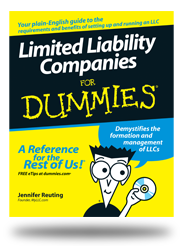 First figure out what you want to name your LLC or corporation, then once your LLC or corporation is filed; we can help you file a fictitious name application.